About the Author: Greg Iles is an American bestselling novelist and his first novel is Spandau Phoenix, a thriller about Nazi war criminal Rudolf Huzz. 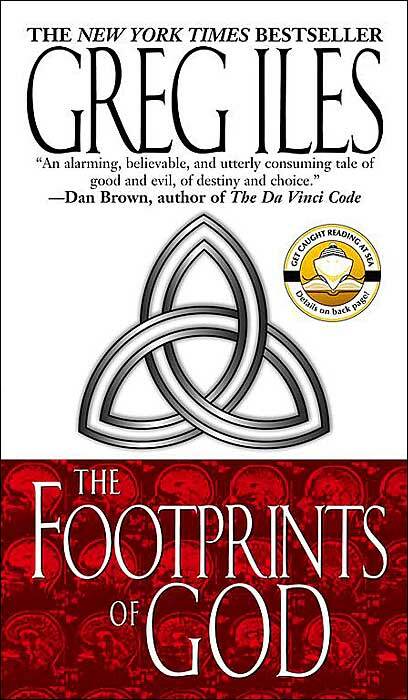 About the Book: The Footprints of God is a thriller novel, The book was sold as Dark Matter in Australia. It made the New York Times bestseller list. Review: This is my first book by Greig Illes and honestly speaking I really enjoyed this book. I am always very interested in the books which will introduce me to new ideas. In this book Greig Illes takes current dependency of computers in our day to day life to new level. This book has themes like scientific research and achievement, political intrigue, and moral/ethical themes. This book is packed with high tech computer achievements, mystery, philosophy and a whole new concept of God and Origin of life and universe. This book has everything one expects from the techno-thriller/geek, mystery-thriller novel, it is a real page turner, it has mystery, it has suspense, it has drama, it has action and most of all it will keep you awake till you finish this book, no matter how late it is. The story is narrated by Dr. David Tennant, a M.D. and ethicist appointed by the President as the official representative of the White House to take into consideration the ethical/moral implication of the super-confidential military project known as Trinity. Trinity is the name given to the Supercomputer in construction by many Nobel laureates, this computer will be the improvement over the human brain. This computer is created with the new techniques, not like old AI (Artificial Intelligence) techniques which involves Algorithms, Logic, Learning, etc. The story takes shocking turn when a fellow researcher Andrew Fielding dies, the reports say that Fielding died due to massive heart attack. But Tenant doesn’t believe it and he discovers some shocking secrets that makes him believe that Andrew Fielding is murdered. He need to now, find out what is the reason behind his fellow researcher’s murder because his life depends on it, with help of his psychiatrist Rachel.If we want to create AI which will be more intelligent than human then we need to walk on ‘The Footprints of the God’. Overall a very good thriller and very interesting book which will expose you to whole new world of AI and nano technology. 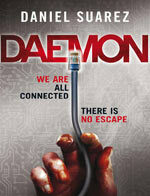 A must read for Sci-Fi/Mystery-Thriller fans.